Khajuraho : Social activist Anna Hazare on Sunday said he had written 32 letters to Prime Minister Narendra Modi, including 10 on the Lokpal and issues related to farmers and agricultural land, but received not a single reply. "I did not receive any reply despite writing consistently to the Prime Minister. So, I wrote in one letter that you may not have been able to reply due to huge work burden, or else you harbour an ego," said the social activist who arrived here on Saturday to participate in a two-day National Water Conference. 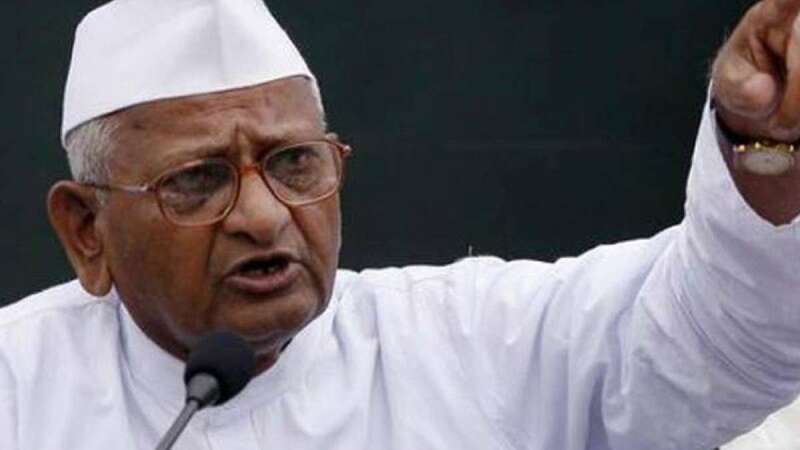 Hazare said it was only after getting no response to his letters that he decided to launch an indefinite agitation again from March 23, which is the martyrdom day of Shaheed Bhagat Singh, Rajguru and Sukhdev. He said his renewed agitation will continue till the law related to the Lokpal is not strengthened and farmers get total loan waiver. He said the agitation will remain peaceful, adding that there was no difference between the Congress and the Bharatiya Janata Party which are more worried about strengthening themselves but not bothered about the country or society.